Another sugar source this time an unprocessed sugar from Mexico. Traditionally used for baking and desert recipes. In the culture and fermentation world, it is used for making the South American water kefir strain, called Tibicos or Tibi. It has a very rich taste which will transfer to the finished beverage. 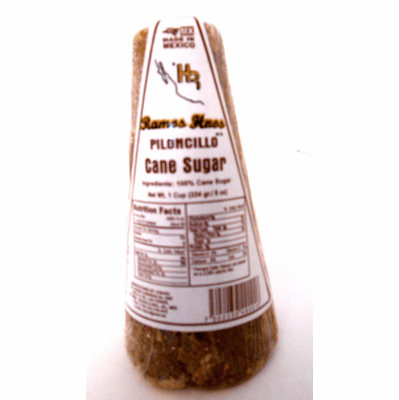 Definition: Piloncillo tibicos sugar made from pure, unrefined sugar that is pressed into a cone shape. It tastes very similar to brown sugar with a molasses flavor (even though it does not contain molasses) and you can use it for anything that calls for brown sugar. Its name means "little pylon" because of its shape. The smaller cones are usually around 1 ounce and the larger ones around 8 ounces. They come in light, "blanco" and dark "oscura." This sugar replaces the need for dark brown sugar and molasses in culture food recipes. 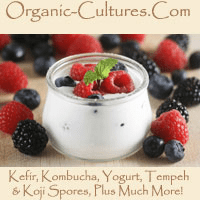 Great sugar source for tibicos grains or water kefir starter. Will make a stronger tasting beverage over white or cane sugar. Note: Product brand may be different than image. Because of it nature, organic Piloncillo is hard to find.